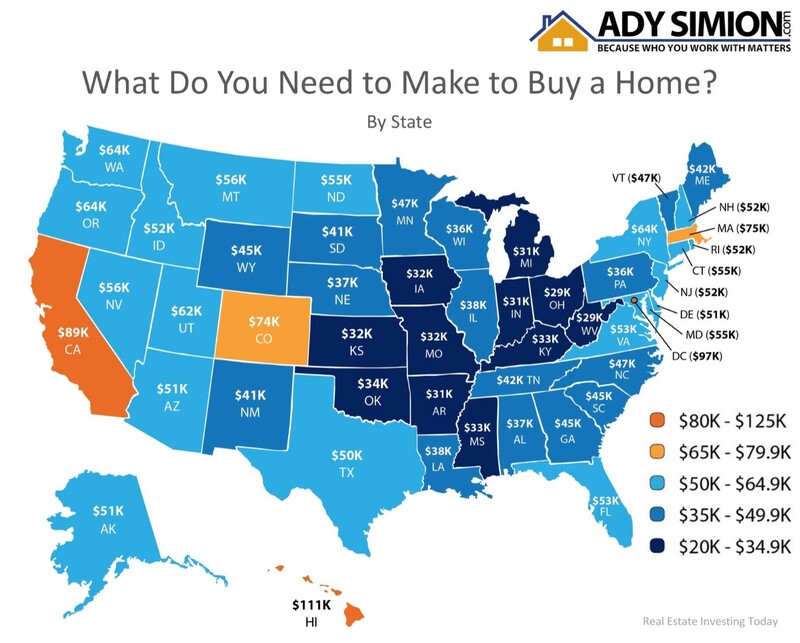 It’s no mystery that cost of living varies drastically depending on where you live, so a new study by GOBankingRates set out to find out what minimum salary you would need to make in order to buy a median-priced home in each of the 50 states, and Washington, D.C.. Above is the map with the full results of the study. As I recently reported, research from Zillow shows that historically, Americans had spent 21% of their income on owning a median-priced home. The latest data from the fourth quarter of 2017 shows that the percentage of income needed today is only 15.7%! If you are considering buying a home, whether it’s your first time or your fifth time, contact us, we can help you to evaluate your ability to do so in today’s market! 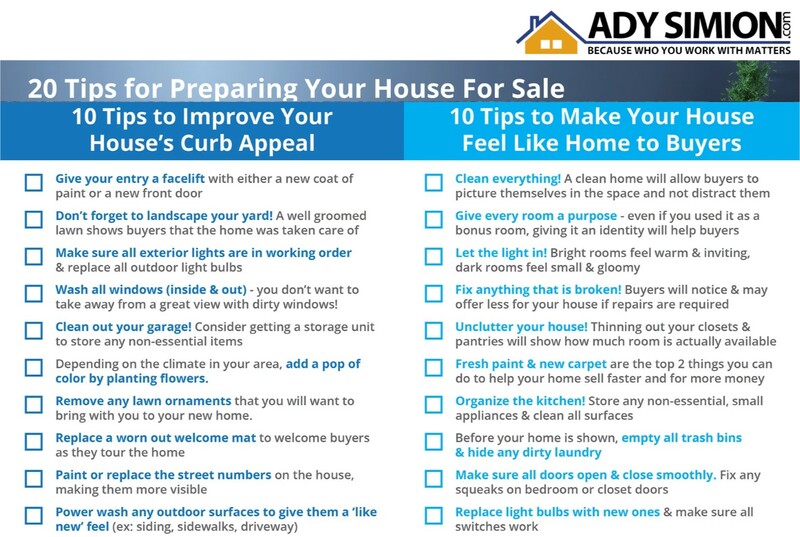 ♦ When listing your house for sale your top goal will be to get the home sold for the best price possible! ♦ There are many small projects that you can do to ensure this happens! ♦ Contact us we can help you with a list of specific suggestions for getting your house ready for market and for finding local contractors who can help! Contact us if you have more questions about this or other Real Estate matters. Podcast Episode 9 – Discount Brokers. Not able to watch my videos? No problem, listen to my Podcast. Episode 9 – Discount Brokers. Contact us for more questions about this or other Real Estate matters. The best time to sell anything is when demand is high, and supply is low. If you are currently in a starter or trade-up house that no longer fits your needs and you are looking to step into a luxury home, now’s the time to list your house for sale and make your dreams come true. Call us to chat and explore your options.